Are you looking for hair salon suites for rent and wanting to start your business up right away? Working for yourself can seem quite overwhelming, but with all we offer and the information we give to get you up and going, it will seem like a breeze. To find a salon in Mansfield you have to find a good location where your business would boom and your clients will be happy. All suites are customizable to you so feel free to paint and decorate how you like. Start working on your clients in the privacy of your own suite. 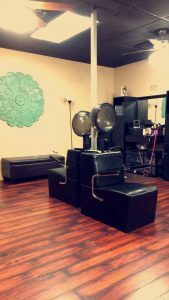 If you are currently in beauty salons Irving, Keller or salon suites Southlake then make the short drive over to our Grapevine location to take a tour of the suites we have to offer you as a business owner. Run your new business out of one of our beauty salons for rent.